The day dawned bright and clear. 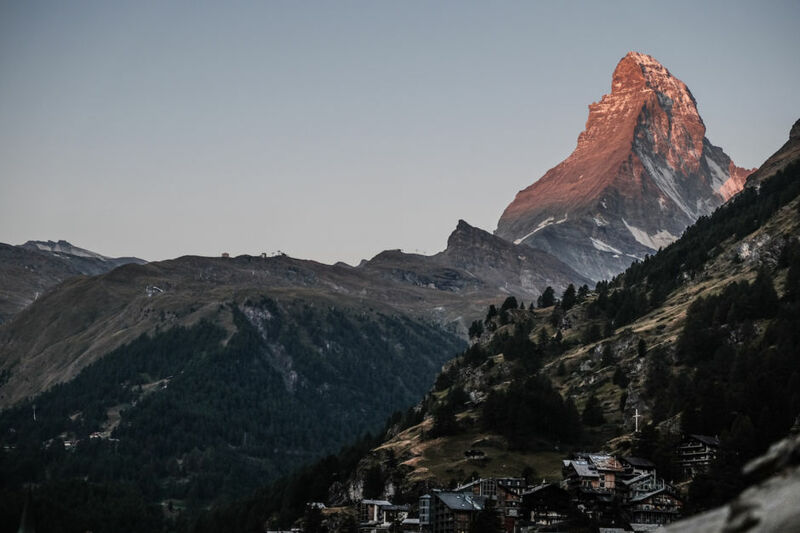 I’d been sitting on the balcony of my Zermatt hotel since long before sunrise hoping that this would be the day I’d finally get to see the legendary Matterhorn — that epic, jagged tooth of a mountain that sits high above the small paradisiacal town. It had been hiding behind a wispy, swirling bank of clouds for the last three days, and with just moments to spare before my train departed, this was my final opportunity to catch an unhindered view. As the sun rose over the eastern mountains it lit the Matterhorn up in a cascade of pinks, reds, and oranges. I snapped a few quick photos, then whipped up my backpack and spun my way down the hotel staircase and out the door. I picked up my pace on the cobbled, car-free streets of Zermatt. 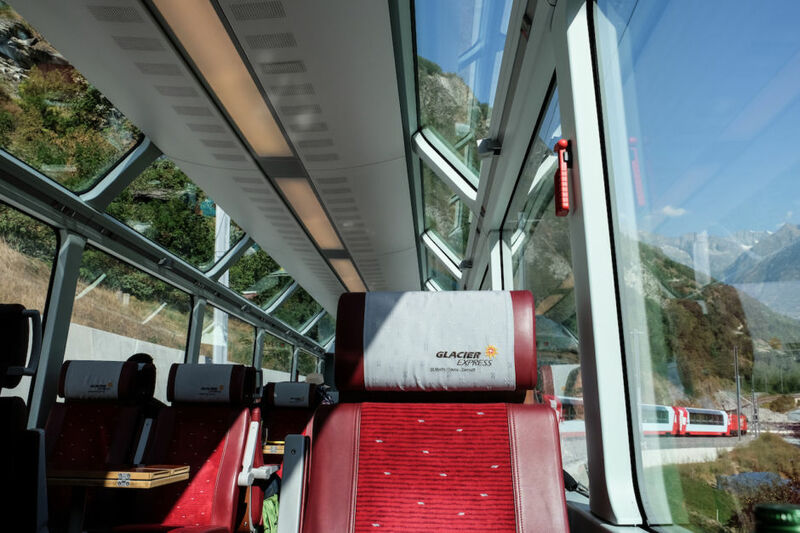 The Glacier Express, the most luxurious scenic train in Switzerland, was about to depart, and I was meant to be on it. I spent the day before my departure taking multiple cable cars to the most popular tourist attraction in Zermatt. 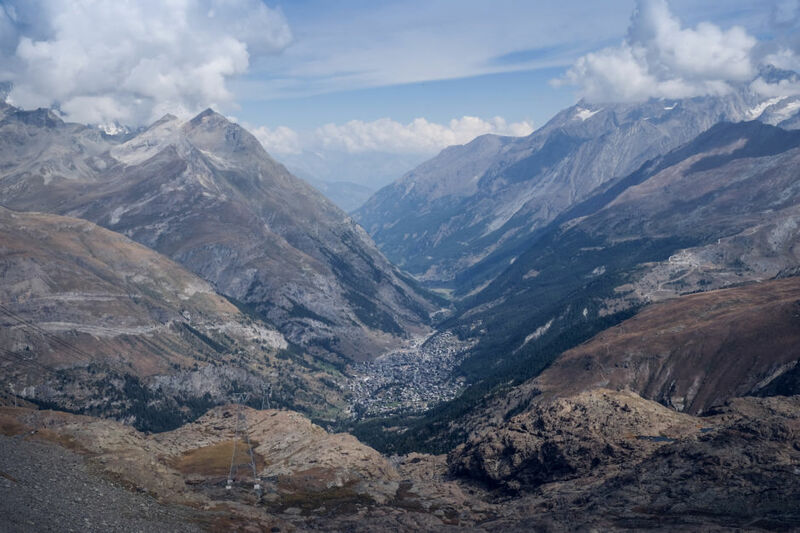 On the way to the Klein Matterhorn at 12,740 feet, I turned to get a perfect aerial view of the narrow Zermatt valley. It took until the last morning to see the Matterhorn in all her glory, but - as you can clearly see - it was well worth the wait. 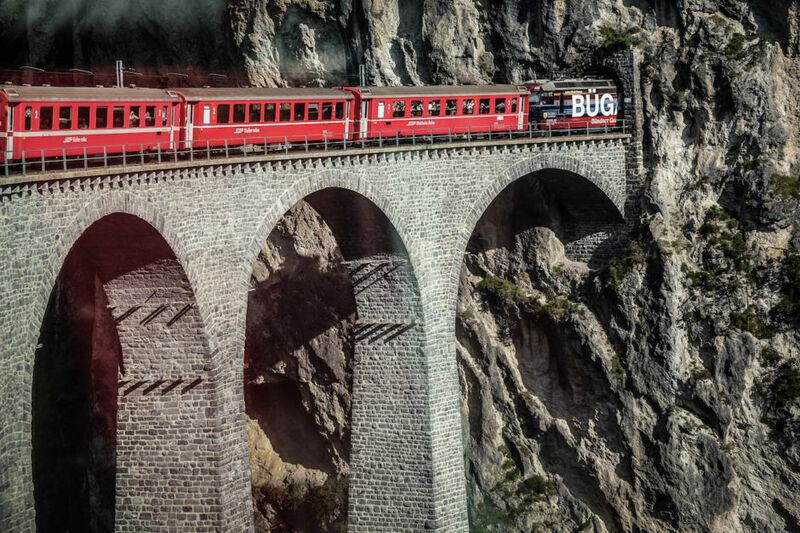 The train twists and turns its way out of the narrow valley en route to St. Moritz. 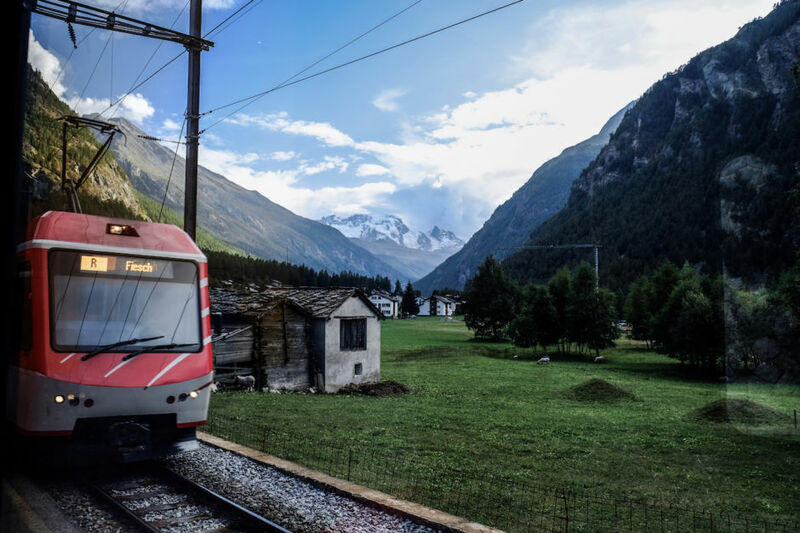 Zermatt is entirely car-free, and the only way to reach the town is by train. 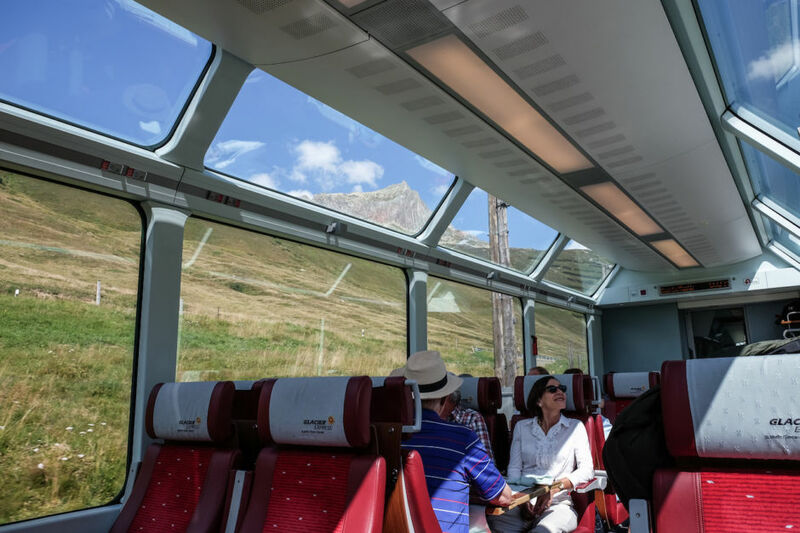 The Glacier Express carriages are as clean, quiet and perfectly climate controlled as you’d expect for a train journey that costs US$280 one way. The train is made up of so much glass that at first you might well question its structural integrity. But when you realize that this allows you to view the towering Alps with only a minor crane of your neck, it’s a concern you’ll quickly overcome. In spite of the dramatic scenic beauty, crossing the 213-foot-high Landwasser Viaduct is a highlight for many. Though near impossible to capture the scale and beauty of this dramatic engineering feat through the window of a moving train, it’s a thrilling feature to cross. You scarcely have time to appreciate it; however, seconds later you plummet into the darkness of the Landwasser Tunnel, which runs for 709 feet through the mountain. Almost as soon as we had dipped down, so the train started to climb once again. 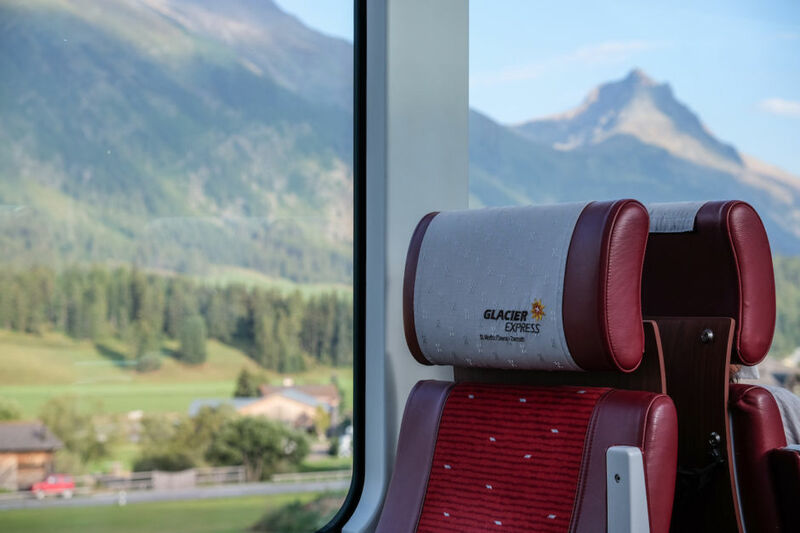 We were approaching the resort town of St. Moritz - the train’s final stop - which sits at an altitude of nearly 6,000 feet. 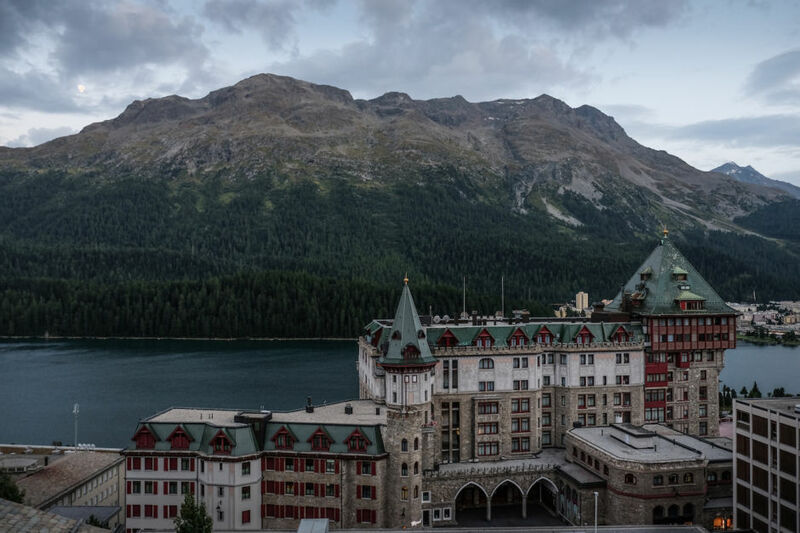 I arrived in St. Moritz some eight hours later. I stumbled off the train and wandered the quiet streets of the resort town in a daze, peering into the windows of the locked high-end fashion stores and unsure where to stay. A young woman sweeping the cobblestones in the town square recommended a nearby hotel. There, I asked the receptionist for the cheapest room available. I expected something mediocre for the reasonable price she quoted in one of the most expensive towns in Europe. But when I pulled apart the heavy curtains, a view unlike any I could’ve wished for greeted me as the perfect finale to an epic day on the most incredible Swiss train ride imaginable. All photos are the author’s.